Reid Davis is a partner in the firm’s litigation practice. He joined the firm in 2011 and is a resident in the Los Angeles office. Reid represents companies in complex business litigation, with an emphasis on wage and hour class actions, consumer class actions, commercial contract disputes, unfair business practices actions (including 17200, CLRA, and UDAP cases), and real estate litigation. He has successfully represented businesses in a wide range of industries—including retail, finance, mortgage and consumer lending, healthcare, and real estate—in high-stakes litigation and regulatory proceedings. Across practices, Reid is knowledgeable in all facets of litigation, including successfully litigating jury trials, bench trials, and arbitrations, managing large-scale discovery, drafting and arguing case dispositive motions, and achieving favorable resolution of cases in mediations. While in law school, Reid externed for The Honorable Judge George Wu of the Central District of California, which involved work on civil and criminal trials. 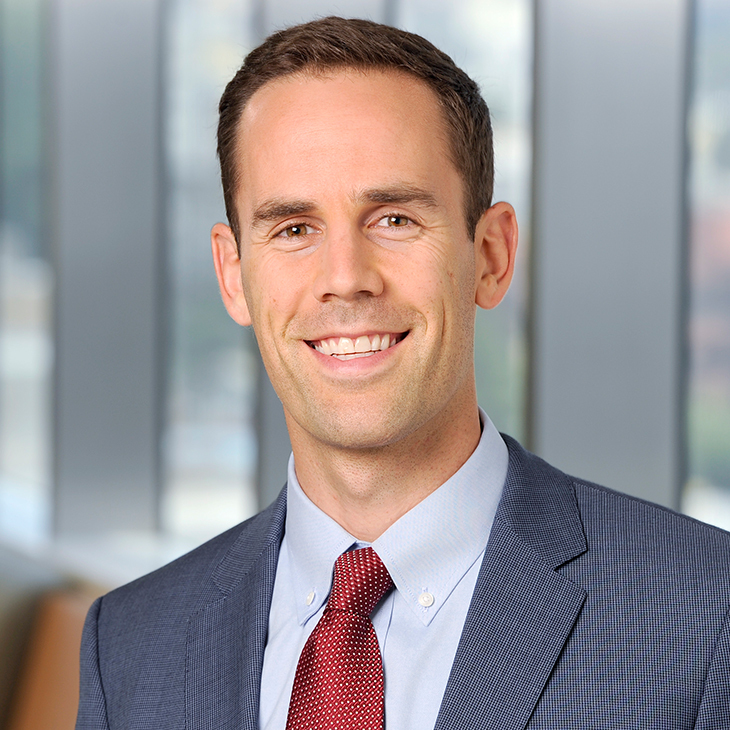 Reid also served as the submissions editor for the UCLA Entertainment Law Review and as the Executive Director of the UCLA Sports Law Federation. Wayne Fergerstrom, et al. v. PNC Bank National Association, U.S. District Court for the District of Hawaii Case No. 1:13-cv-00526-DKW-RLP (2018). Obtained full summary judgment in this wrongful foreclosure class action, which sought tens of millions of dollars in damages. Orthopedic Specialists of Southern California v. Blue Shield of California, Los Angeles Superior Court Case No. SC113352 (2016). Obtained favorable summary judgment ruling dismissing out-of-network provider’s reimbursement-related claims against Blue Shield. Allen v. American Multi-Cinema, Inc., Alameda County Superior Court (2014). Represented AMC Theatres at trial in a statewide class action lawsuit seeking damages under the Private Attorney General Act for failure to provide seating to AMC’s box office and guest services employees. This was the first “suitable seating” case to go to trial in the state of California. After a one-week trial, the court issued a verdict in favor of AMC Theatres on all causes of action, and AMC was awarded $133,903 in costs. Gregory Zikos v. Stevco, Inc., Los Angeles County Superior Court (2014). Successfully defended Stevco at trial in connection with a multimillion-dollar claim for a commission based on the sale of Stevco. After a five-day jury trial, the jury ruled in favor of Stevco on all claims. Sinani v. H&M, Los Angeles County Superior Court (2014). Successfully obtained terminating sanctions on the eve of trial. Plaintiff, a former employee of H&M, sought damages for discrimination based on gender identity. J&V Simon, LLC v. B&B Associates, LLC, Los Angeles County Superior Court (2014). Obtained favorable summary judgment ruling on behalf of J&V Simon, enforcing a contested easement and covenant for commercial retail parking. Allison v. American Multi-Cinema, Inc. San Diego County Superior Court (2014). Obtained dismissal with prejudice at the pleading stage of Unruh Act claim alleging that AMC improperly provided discounts to federal employees. Jefferson v. H&M, U.S. District Court – C.D. Cal. (2013). Obtained favorable settlement of wage and hour class action brought on behalf of all nonexempt retail employees of H&M in the state of California. Taylor v. Ticketmaster, Los Angeles County Superior Court (2011). Obtained dismissal at the pleading stage of class action complaint alleging Labor Code and 17200 violations. Gomez v. Hollywood Tower Associates, Los Angeles County Superior Court (2012). Obtained favorable summary judgment ruling dismissing housing discrimination claims alleged by plaintiff in connection with a high-end condominium conversion project. Central Pacific Bank v. Fidelity, Riverside County Superior Court (2011). Represented bank in six-week jury trial of title insurance dispute.